New laboratory technique allows researchers to replicate on a tiny scale the swirling clouds of ionized gases that power the sun, to further our understanding of fusion energy, solar flares and other cosmic phenomena. 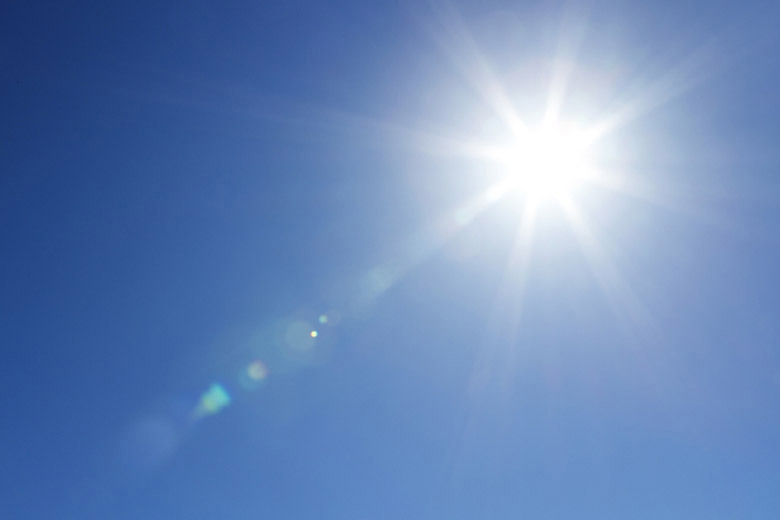 Intense heat, like that found in the sun, can strip gas atoms of their electrons, creating a swirling mass of positively and negatively charged ions known as a plasma. 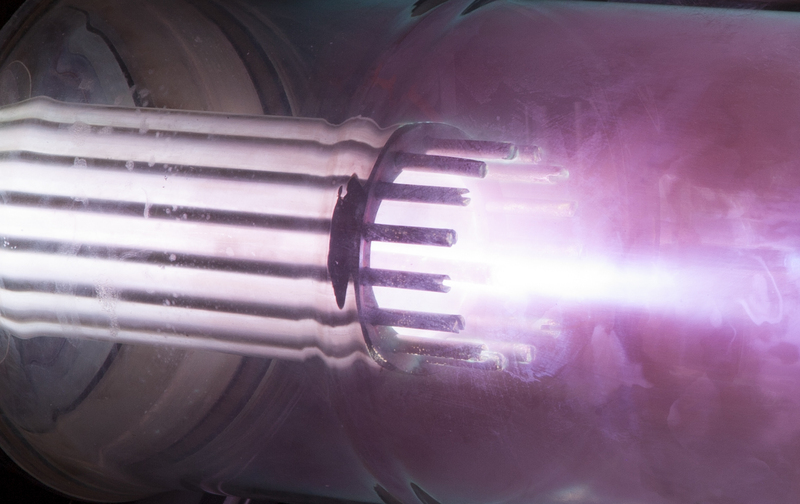 For several decades, laboratory researchers sought to replicate plasma conditions similar to those found in the sun in order to help them understand the basic physics of ionized matter and, ultimately, harness and control fusion energy on Earth or use it as a means of space propulsion. Now Stanford engineers have created a tool that enables researchers to make detailed studies of certain types of plasmas in a laboratory. Their technique allows them to study astrophysical jets—very powerful streams of focused plasma energy. A long-exposure photographic image capturing the Stanford Plasma Gun during a single firing. The image shows where the plasma is brightest during the acceleration process, which occurs over tens of microseconds. Writing in Physical Review Letters, mechanical engineering graduate students Keith Loebner and Tom Underwood, together with Professor Mark Cappelli, describe how they built a device that creates tiny plasma jets and enabled them to make detailed measurements of these ionized clouds. The researchers also proved that plasmas exhibit some of the same behavior as the gas clouds created by, say, firing a rocket engine or burning fuel inside an internal combustion engine. Their instrument, coupled with this new understanding of the fire-like behavior of plasmas, creates a down-to-earth way to explore the physics of solar flares, fusion energy and other astrophysical events. “The understanding of astrophysical phenomena has always been hindered by the inability to generate scaled conditions in the laboratory and measure the results in great detail,” Cappelli said. Taking a cue from plants, researchers figure out how to use the sun’s energy to combine CO2 with H2O to create benign chemical products, as part of a futuristic technology called artificial photosynthesis. In plants, photosynthesis uses the sun’s energy to combine water and carbon dioxide to create sugar, the fuel on which they live. Artificial photosynthesis would use the energy from specialized solar cells to combine water with captured carbon dioxide to produce industrial fuels, such as natural gas. Four years ago, McIntyre’s lab made solar cells resistant to corrosion in water. In the new paper, working with doctoral student Andrew Scheuermann, the researchers have shown how to increase the power of corrosion-resistant solar cells, setting a record for solar energy output under water. “The results reported in this paper are significant because they represent not only an advance in performance of silicon artificial photosynthesis cells, but also establish the design rules needed to achieve high performance for a wide array of different semiconductors, corrosion protection layers and catalysts,” McIntyre said.